Do you believe in ghosts? As we rounded Selsey Bill we were suddenly overcome with flies. It was as if we had suddenly found ourselves in the middle of one of the ten plagues of Egypt. Some of our party were overcome, covering their faces with their hands to keep the flies from invading their mouths, their throats, their nostrils – from the way they were behaving you would have thought the flies were trying to gouge through their eyes in search of their brains! Where did all these flies suddenly come from? Perhaps it was all because of an eighteenth century gibbet, sited just round the corner from this particular spot. In 1747 the notorious Hawkhurst Gang, an organised band of smugglers, raided Poole Customs House to recover confiscated contraband. Not known for their social etiquette when it came to customs officials, the Gang tortured and killed two of them. Several of the Gang were later captured; seven of them were tried and executed at Chichester. 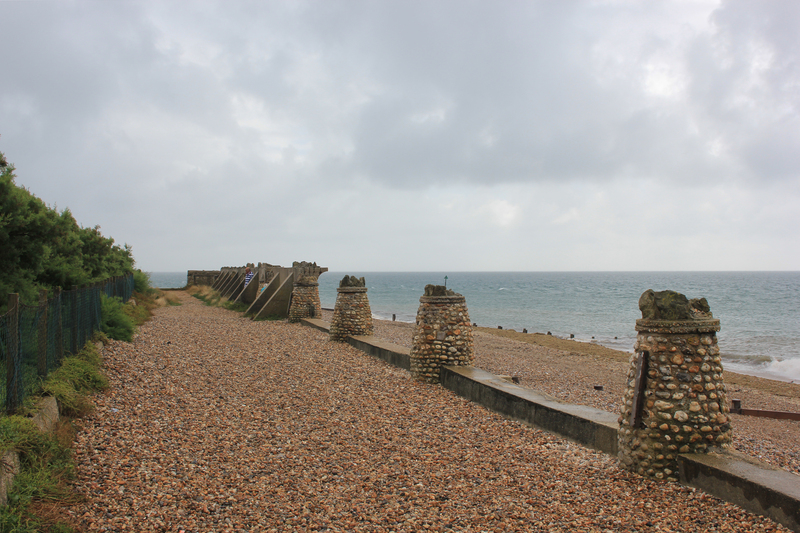 Two of them came from Selsey, and their bodies were chained at the gibbet at Selsey Bill as a warning to others. Perhaps the stench of the rotting bodies all those years ago had permeated the sand, the shingle and sea, turning the surf into a rotting stench of glutinous green slime in a ghastly memory of the corpses once displayed here. Perhaps the flies supernaturally arrived here some two hundred and fifty years ago to lament the cursed bodies left to rot in the gibbet, remaining here ever more to plague and terrify innocent coastal walkers such as ourselves. Personally, I thought it was more to do with the soggy green seaweed left in the sun by the tide. 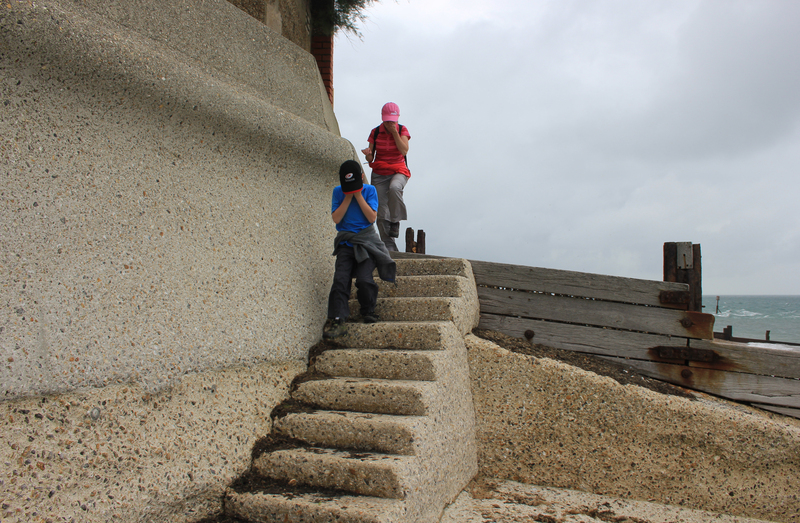 As we rounded the bill we arrived at the coastal defences, built in 1953. There was nothing particularly special about these, except they looked a bit out of the ordinary. What these circular turrets were doing I have no idea, but they made for a more attractive structure compared to the usual interminable blank concrete. 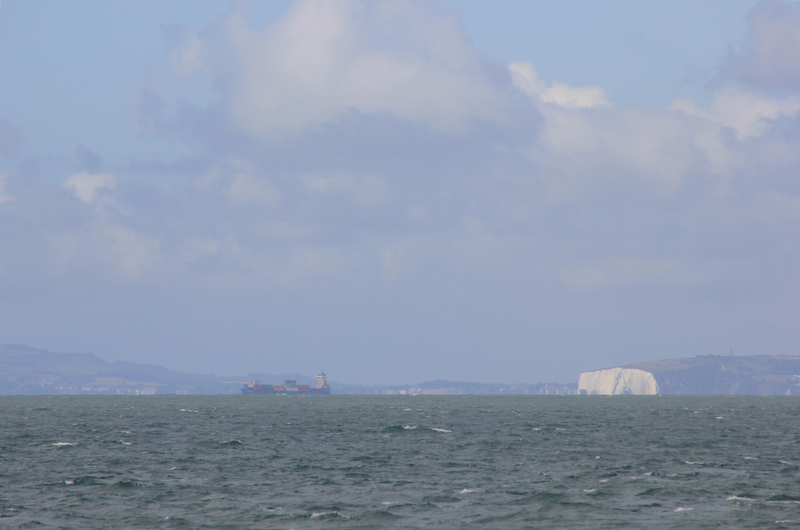 This entry was posted in West Sussex and tagged coast, isle of wight, selsey, travel, walking, west sussex. Bookmark the permalink. Hi! I had a great time camping out in your blog for a while. Great posts! I’ll definitely be back! Thank you! I hope you get to complete your bucketlist – it looks like an incredible adventure! Loved the use of adjectives and alliteration here Lol!